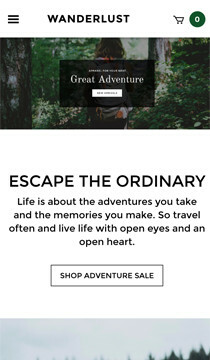 As refreshing as a breath of fresh mountain air, Wanderlust will help your customers enliven their shopping experience free from loud clutter or other distractions. 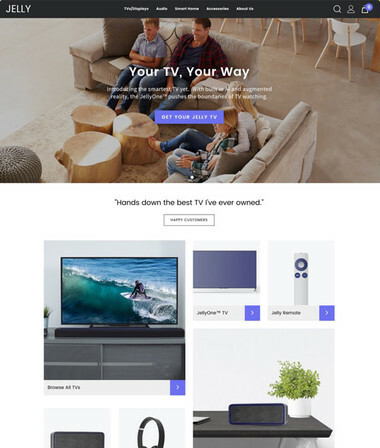 This clean, minimalist theme is fully responsive and great for showcasing your store to new and returning visitors alike. 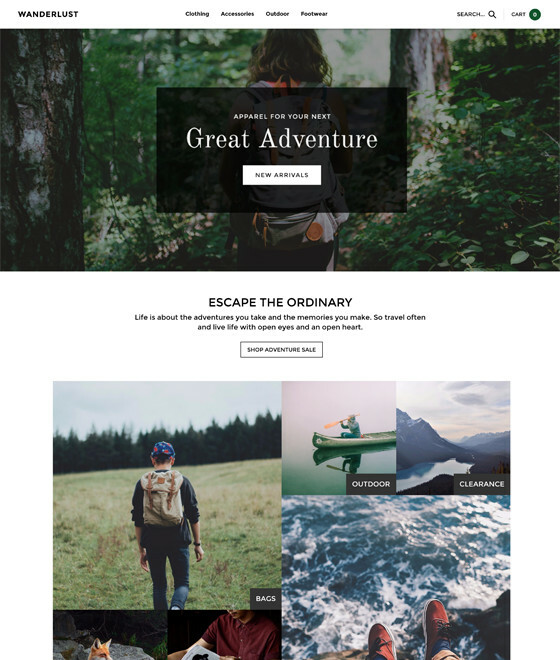 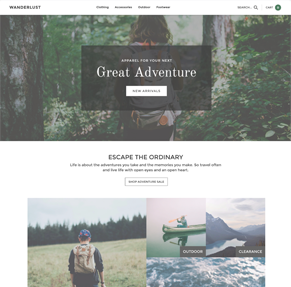 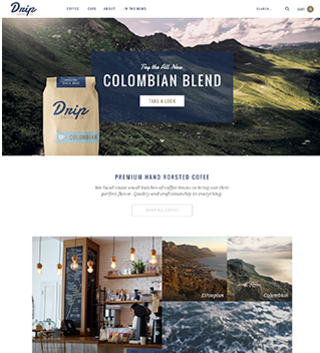 Since it’s Content Builder enabled, Wanderlust is easy to customize and maintain, allowing you to make your site a true reflection of your business and brand.